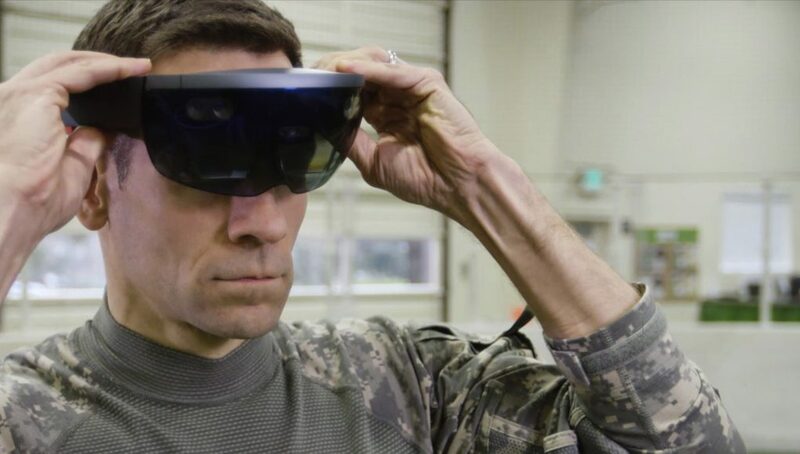 Microsoft has won a $480 million contract with the U.S. Army which is poised to outfit soldiers with 100,000 Microsoft-built AR headsets. 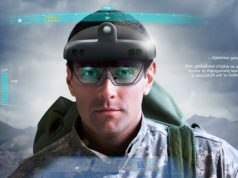 While the contract hasn’t been publicly released on the Department of Defense’s site yet, advanced word from Bloomberg maintains that the contract will supply the Army with “prototypes for augmented reality systems” from Microsoft, which will be used in both combat missions and training. 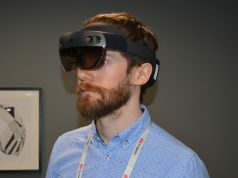 The contract, Bloomberg states, has a few other stipulations for its winner: the device must be able to integrate things like night vision and thermal sensing, be able measure vital signs like breathing and combat readiness, and monitor for concussions and offer hearing protection—something decidedly more involved than HoloLens can do on its lonesome. 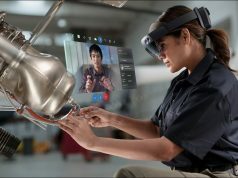 HoloLens is however certified for use as basic protective eyewear, now sporting an IP50 rating for dust protection, and can also integrate into a purpose-built hard hats and helmets, making it an ideal candidate for a consumer device retrofitted with government-supplied kit. “Augmented reality technology will provide troops with more and better information to make decisions. This new work extends our longstanding, trusted relationship with the Department of Defense to this new area,” a Microsoft spokesman said in a statement provided to TechCrunch. 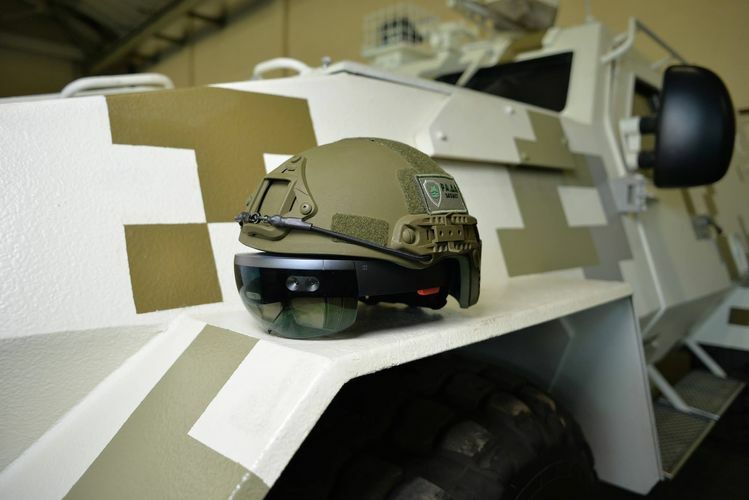 According to information released to the European Patent Office (EPO) in May, Microsoft has sold around 50,000 HoloLens units—half the number stipulated by the Army contract. That’s a pretty strong incentive for the company to dive head-first into their next iteration of HoloLens. Many years ago the first time I saw AR being used was a military application. Pilots to be specific, I remember it was a giant helmet. I also remember the military testing controlling a plane using brain waves. Wow those ar hololens are so hard to acquire and expensive that now you can join the military and get a chance to demo one. This is very good for the industry. I mean good for Microsoft, just a shame it is going towards “defence”. I get it. Hope it makes their jobs safer on both sides of the line of fire. I was under the impression they have been working on a hololens 2 for while now, and it will be released to consumers in the second half of 2019…so by the time they deliver all of these, they will be obsolete…nice. It is 100,000 headsets eventually. I don’t think they will be delivering many 1st gen headsets. So I had always thought the hololense did IR projection to help with environmental mapping. So wouldn’t that be an Achilles heal here for combat application were discretion of upmost importance this would be unusable if not disabled. Even if connected to night vision you would could be blasting an IR Torch to anyone else looking back with night vision killing stealth. And IR cameras are cheap you can literally make one out of most cheap webcams by removing the IR filter. For some positions I would say this doesn’t matter and may be the goal here. And I get in the field you can’t have a full PC and staring at a small screen could put you in danger I could see soldier on the field watching satellite or airplane overlay with realtime battlefield information to better guide the troops. Or even using in command centers where there are things you never want to take eyes off of but realistically cannot achieve on a traditional display.